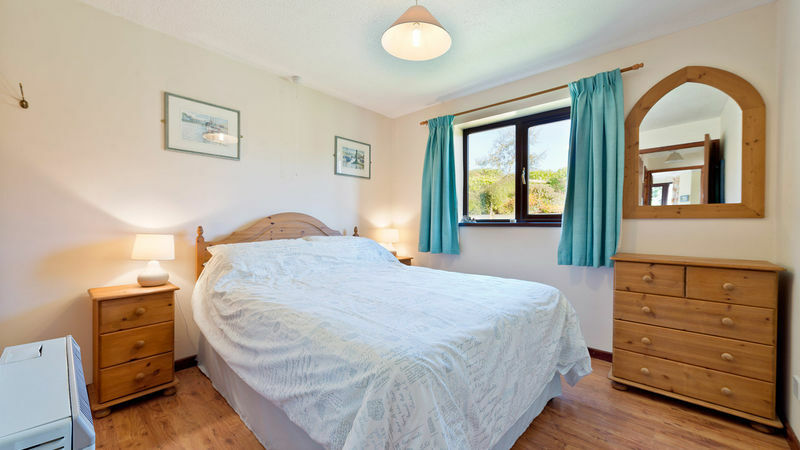 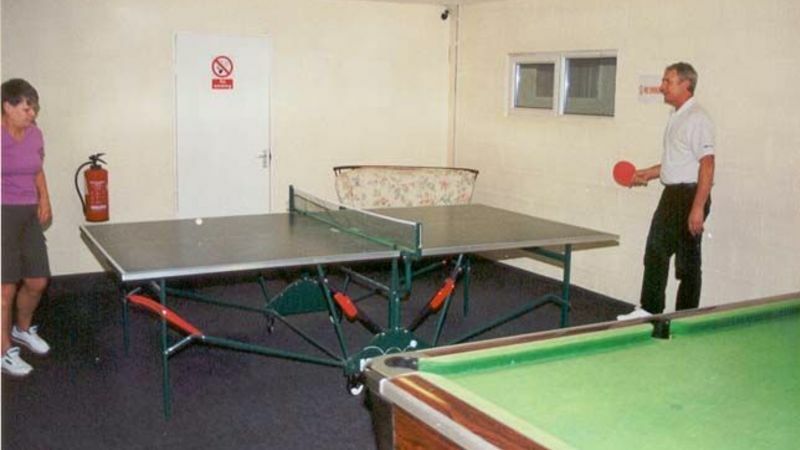 Blackberry Lodge is a modern detached single storey holiday cottage with two bedrooms. 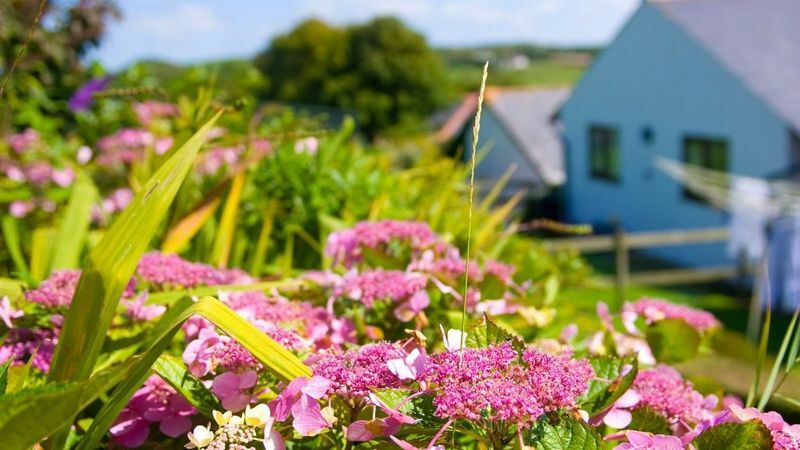 It is right next door to Bramblewood Cottage, and has been beautifully furnished and equipped for holiday makers. 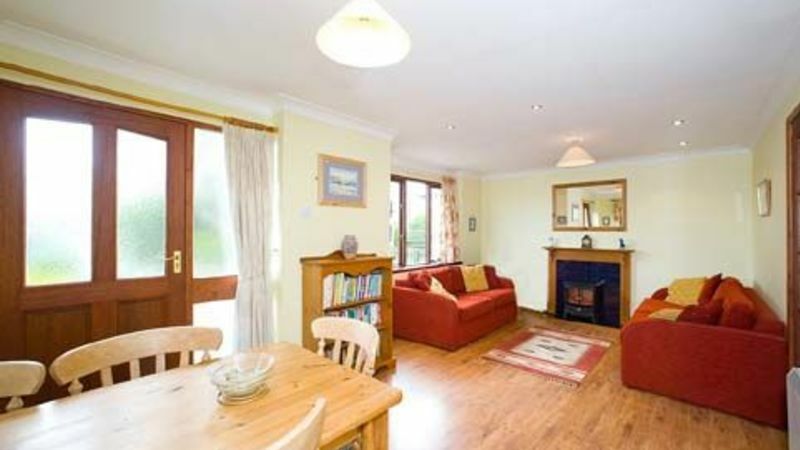 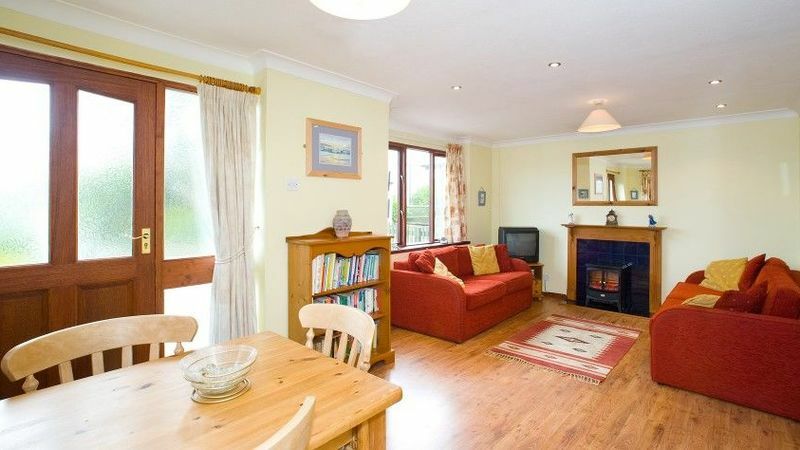 Blackberry is a very cosy cottage and makes an ideal base for a family with children or group of four adults and a baby. 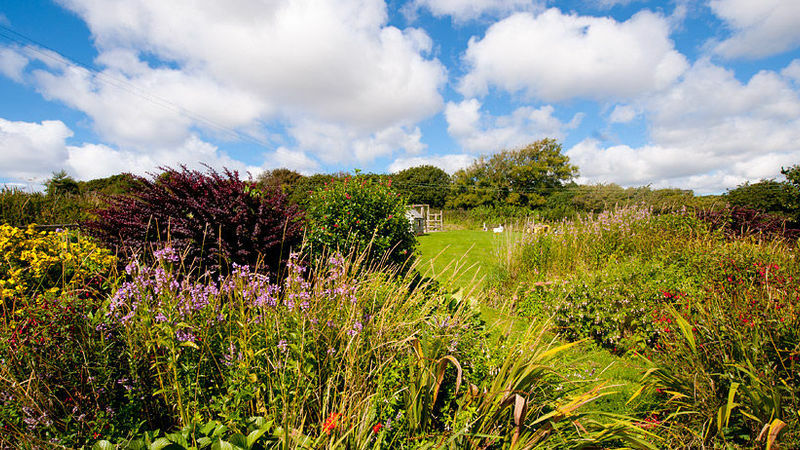 With all the facilities required for a perfect self-catering holiday, you can enjoy lazy evenings with a BBQ in the enclosed and well stocked private rear garden, or a morning coffee on the large front terrace with colourful planted borders and a bench to savour the views over the rolling countryside. 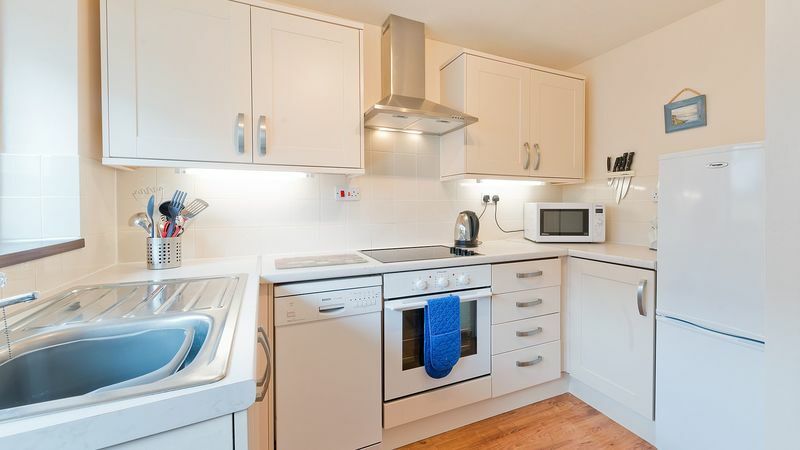 The cottage has been recently upgraded, the kitchen now has a new ceramic hob, fan oven, dishwasher, fridge-freezer, extractor hood and worktops. 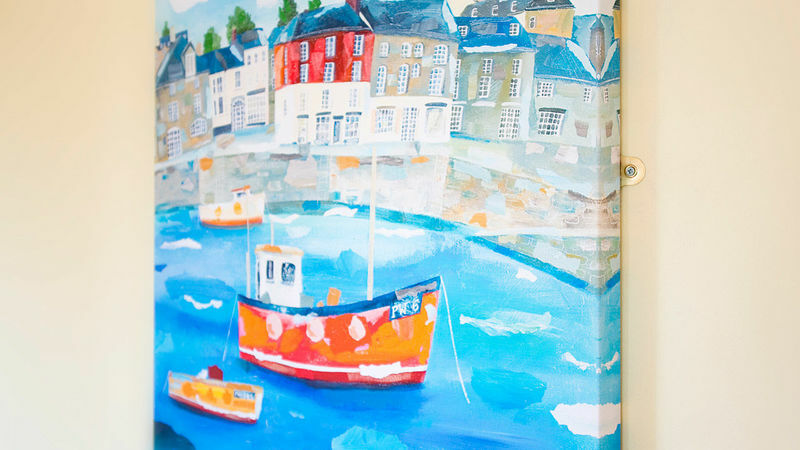 Blackout curtain linings are in all bedrooms to persuade youngsters that it really is time for bed on summer evenings! 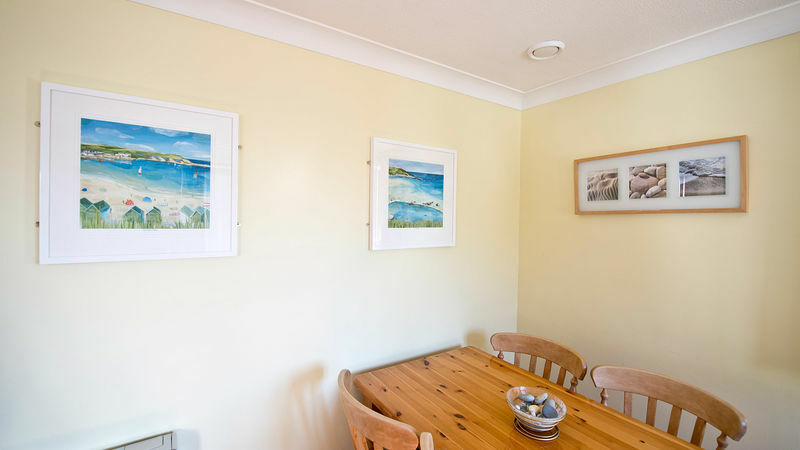 A large open plan lounge/dining area with prints by local artist Harry McConville. 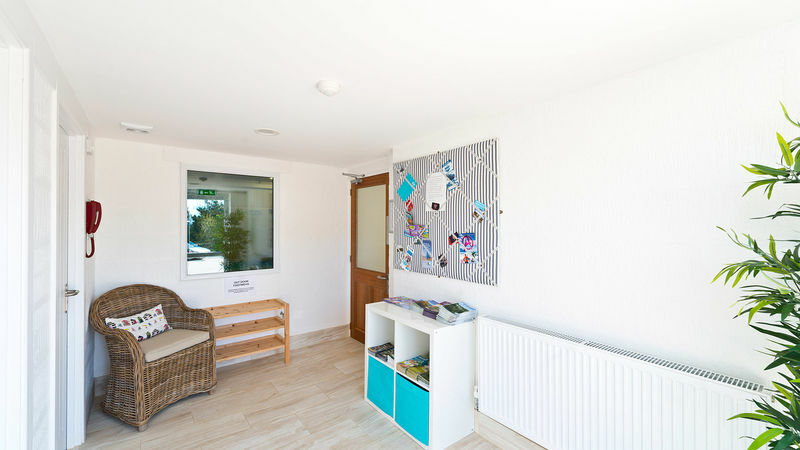 A selection of videos, audio tapes, DVD's, CD's, games and books for both adults and children. 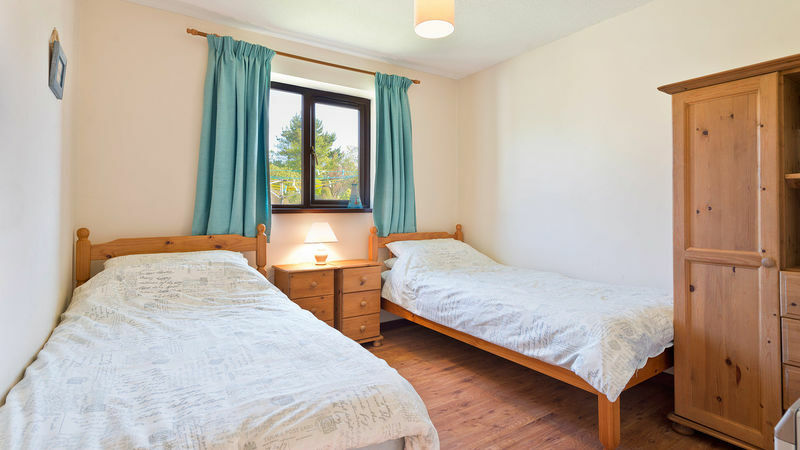 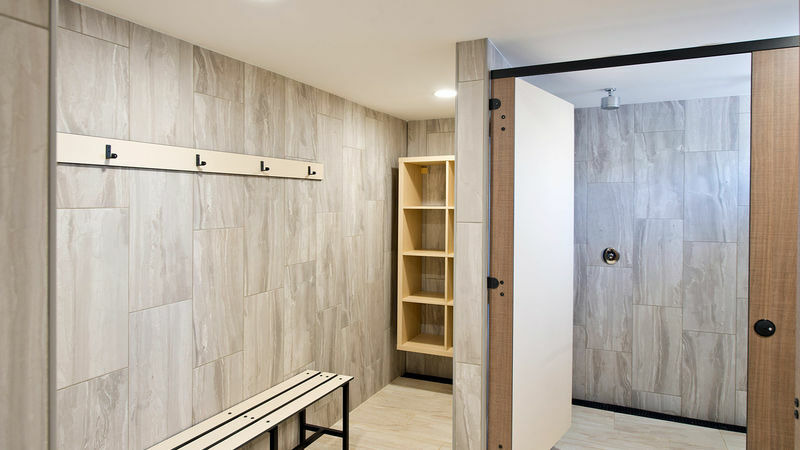 There is a landscaped private rear garden with a BBQ, and garden furniture.The rear garden is enclosed and gated to prevent toddlers escaping! 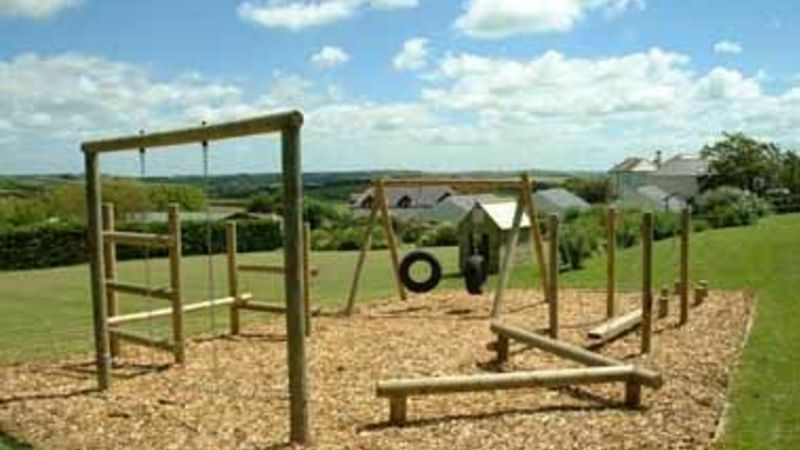 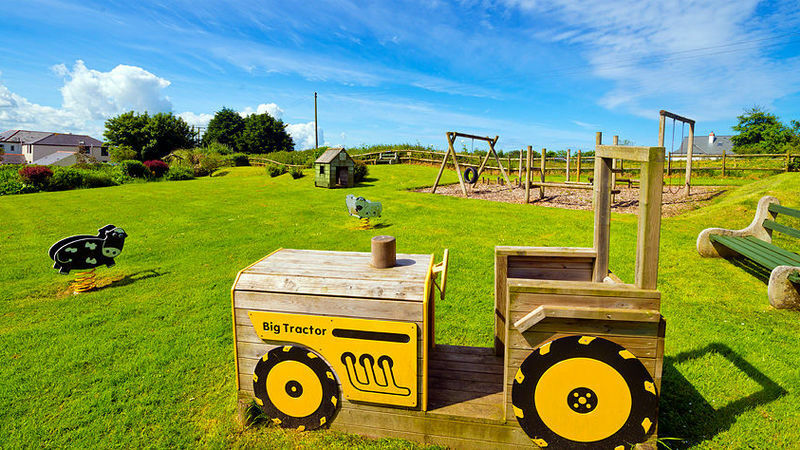 The large front terrace has great views over countryside and a private gate from the garden leads through to the large meadow, and across to the play area. 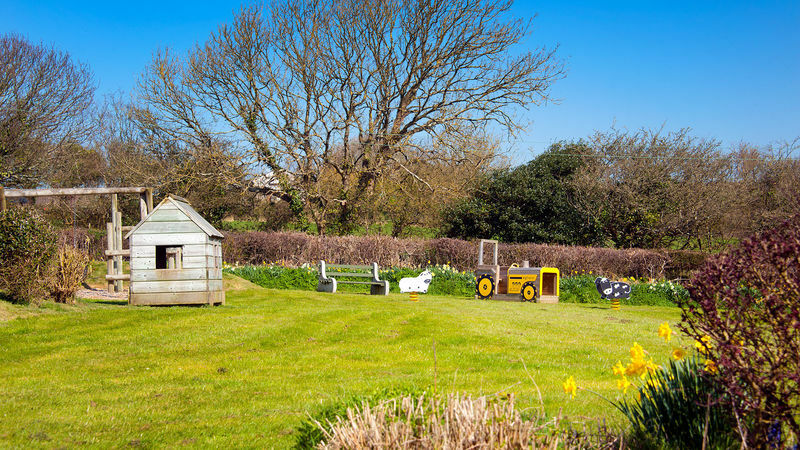 There is also an allocated parking space close to the cottage for your use during your stay. 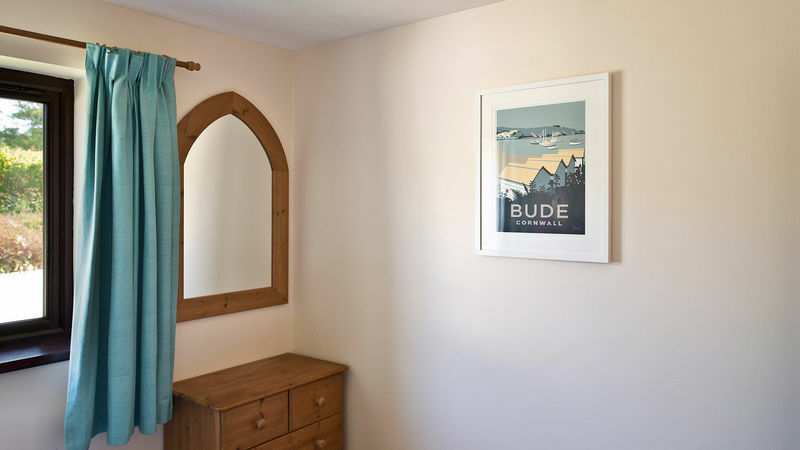 We frequently use the cottage ourselves (when not bringing the whole family, and don't need the extra space of Bramblewood next door), and have tried to provide extra touches that ensure you'll have a great holiday. 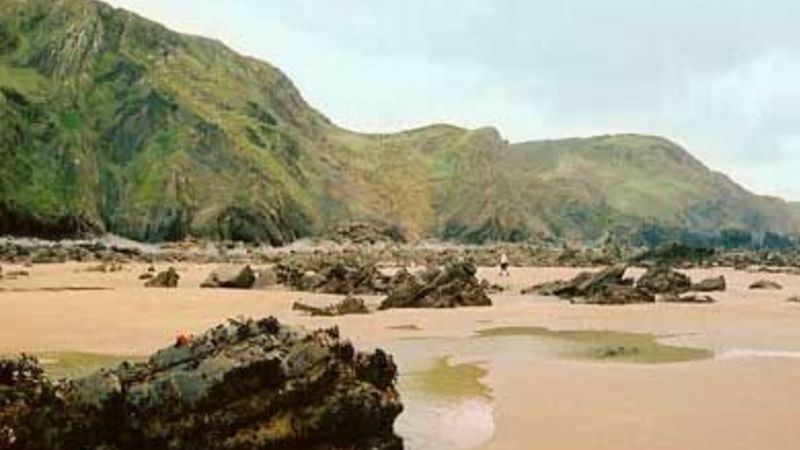 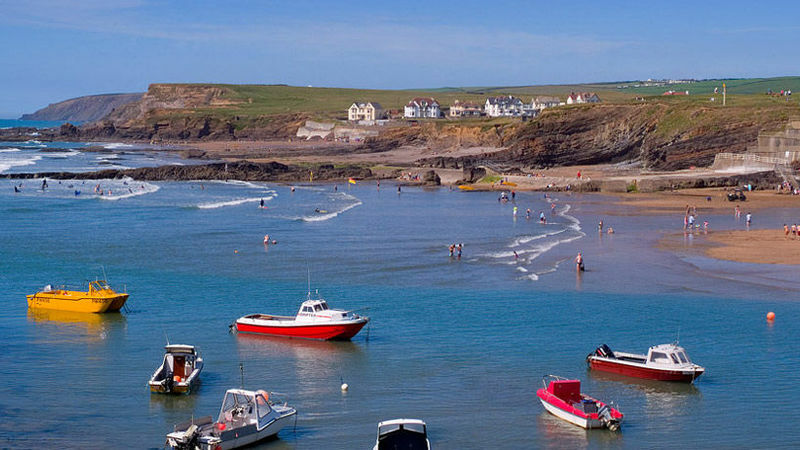 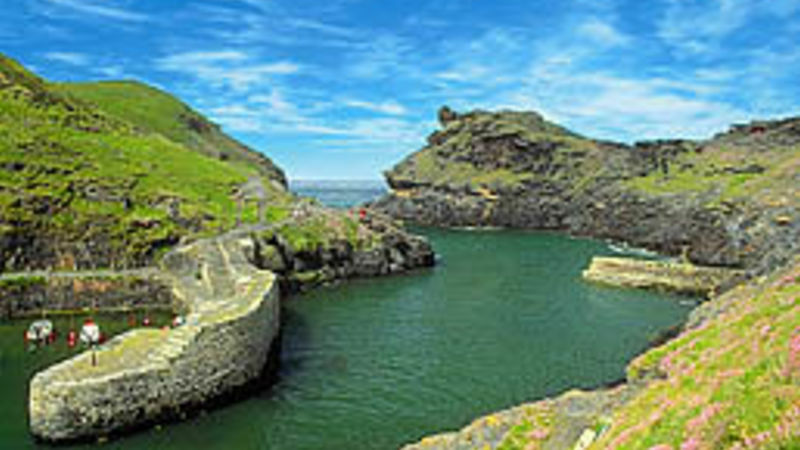 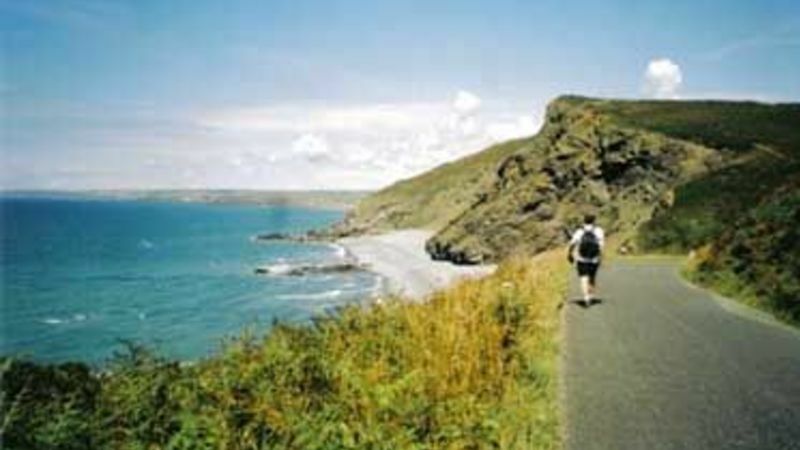 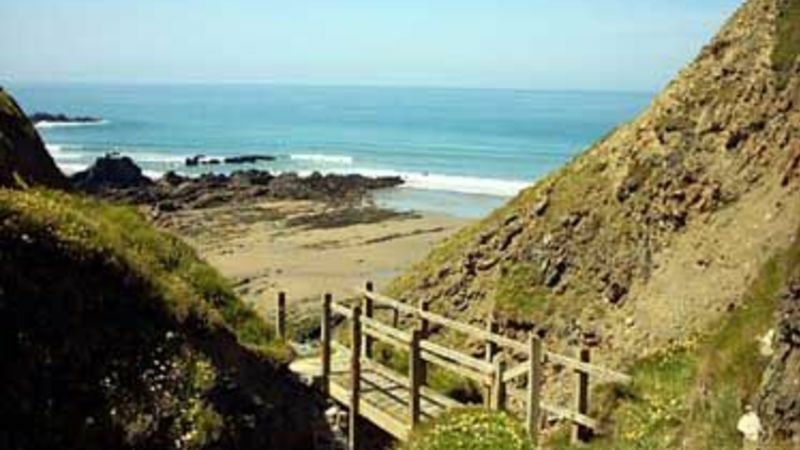 Enjoy walking, surfing, body boarding, investigating the rock pools, or building sandcastles. 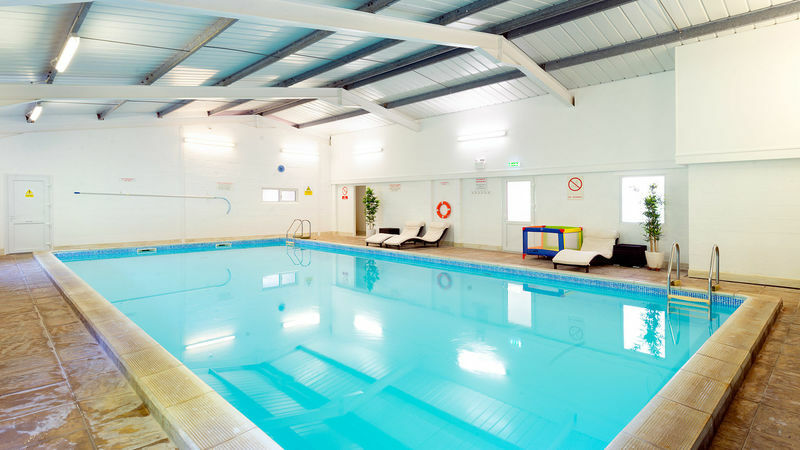 Afterwards return for a swim in the heated pool, or enjoy a barbeque and relax in Blackberry's peaceful garden.